There’s no doubt about it, renovating your home can truly be an exciting process, and one that can make you some extra cash come selling time. 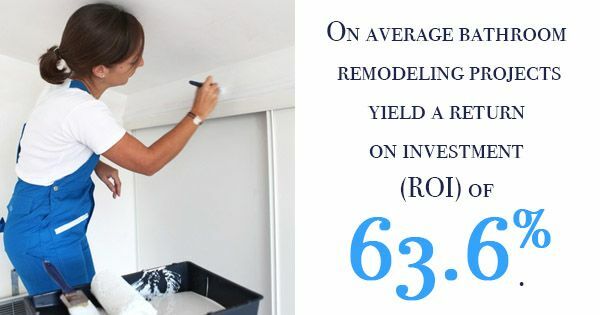 For example, on average, bathroom remodeling projects yield a return on investment (ROI) of 63.6%. In addition, even minor kitchen remodeling projects have an impressive ROI of 73%. And this year, more than 60% of homeowners are prepared to spend more on home renovation and design projects than those who did so last year. Before beginning any residential design and build a project, it’s important to have a solid idea of your end goal or what you’d like the final result to look like. This is especially true for custom or unique home renovations that are uncommon. Therefore, it’s a good idea to have some ideas and questions about home renovation before you get started. Regardless of whether or not you’re working with a contemporary architect or doing the work yourself, having solid ideas for home renovation projects keeps you on the budget, expedites the entire process, and ensures you get the results you wanted. If you need a little inspiration and are unsure where to look, here are a few ways to learn more about home renovation. Whether they’re digital or via snail mail, home design magazines are a great source of inspiration and knowledge. Not only do they cover a wide variety of current trends in architecture and interior design, but you’re likely to pick up a few tips and tricks from well-known architects, designers, and decorators. Even if you’re not interested in buying a new home, going to an open house may give you an idea of what renovations yield the highest ROI. In addition, physically seeing certain renovations may give you a better idea of if you’d really like something similar for your home. Sites such as Pinterest and Instagram make finding inspiration easier than ever. Not only do you have access to a seemingly limitless supply of inspiring imagery, but you can share your ideas with other users. Not only does this create a sense of community, but it may add fuel to your creative, brainstorming fire.